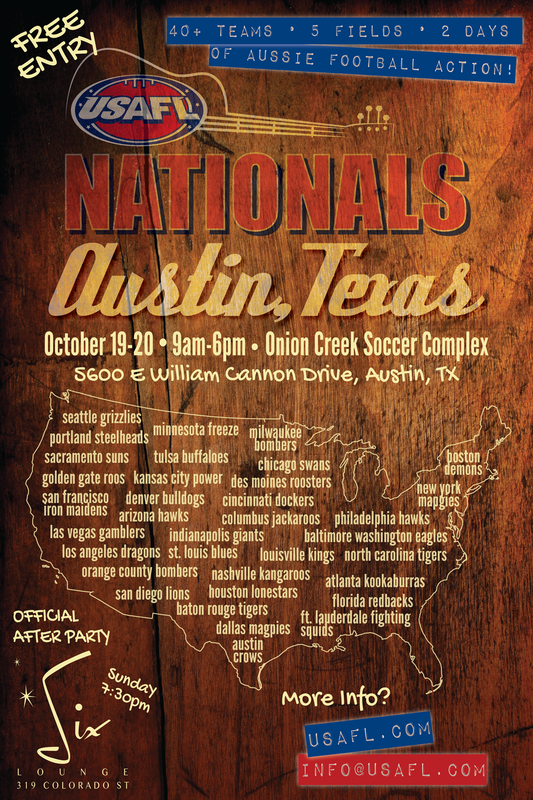 The 2013 Nationals return to Austin, Texas on October 19-20. The tournament will again be held at the Onion Creek Soccer Fields and the Wydham Garden Hotel will play host to the USAFL and its members. The October weekend differs from the normal second weekend in October as the city plays host to two weeks of the Austin City Limits festival. This year will see 4 men's divisions of 8 teams and one women's division consisting of 7 teams. Players will travel from all over the USA representing more than 40 major US cities.